It's been a few days and I'm back! Well I'm always here. I have so much things to tell yet couldn't put it in words. I just don't know where to start. I've attended a few events these few days - a gathering for Christian Fellowship members in TCSJ (2010) and an annual general meeting for alumni of Alam Shah Science School (OASIS). I wouldn't tell everything in detail cause that would certainly bores you to death, but I've noticed something in common. And I feel obligated to share it with you, my reader. First of all, I felt extremely happy and grateful to gather with many old friends (some of them even lost in touch for ages). I was happy for their well being now, and definitely hoped that they would continue to do well in their life. Some of them do extremely well and have already proceed to doing their respective degrees, while some of my seniors from my previous secondary school have already started working. Some of my CF friends are taking gap year and still pondering over what to do next, albeit already graduated from their pre-U for months, or years for some cases. But this doesn't make them any lesser than those who are doing well in degree. Why? Taking any gap year doesn't actually make someone any lesser compared to those who have planned well and proceed to the next stage of life. Quite contrary to it, it actually gives someone more time to think of their future career, or simply just taking a break after more than 11 years of formal education. Many parents think that their children should not waste the time taking gap year, and should finish their study as soon as possible, and start entering job market to earn money. Everything is subjective based, and the word 'should' to above cases has been embedded to the mind of most parents, over many generations. What are the reasons we study and graduate from such and such degree? 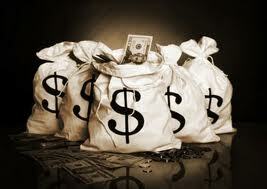 In the end, everyone is looking for a job with the main objective circulating money. 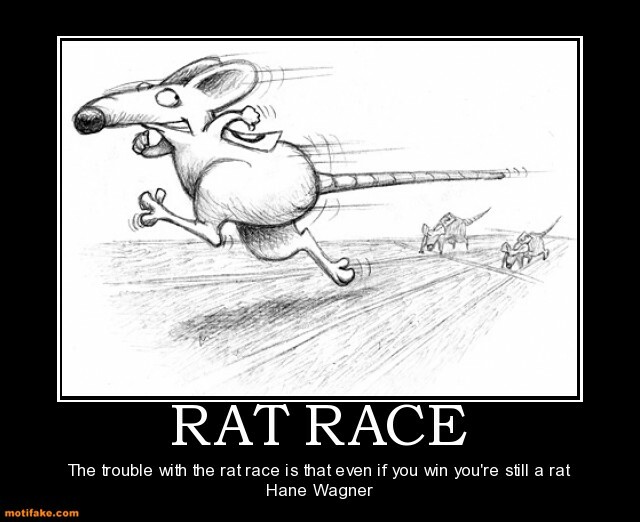 What most people do not aware of, is what we called as 'Rat Race', awaiting us upon graduation. We graduate from a good degree from top university with a good result, find a good job in top firm, get the paycheck, and start paying off our debts in any form (car loan, mortgage, house loan, study loan, credit cards etc). Soon after you get married and have children, expenses for household increases, exponentially. This goes on and on and on, without any breach in between. You cannot possibly build wealth with such cycle circulating on and on and on, without an end. So, what do we do, to avoid such seemingly trivial, but could have pernicious consequences, cycle that haunts most of the working population? Start SAVING! Saving itself might not be influential enough but this is the first step! A simple yet crucial step that would contribute to your financial independence, yet many people couldn't do it. That's where credit crisis comes in, in simple form, when everyone gets involved in any forms of debts. A smart person will try his/her best to avoid from every sort of temptation, to be trapped in debts. As long as you have debts, you will never achieve financial independence. Credit cards is another very common form of debt. It's good if you could spend appropriately based on your monthly earning, but many people do not care much and spend extravagantly like nobody's business, treating credit cards as the licence to spend future money. Think twice (if possible thrice) before you register for a credit card, as that would easily crush your dream of being financial independent if you couldn't control your spending. Invest in income generating assets (bonds, property, stocks, options, futures, forex, commodity) and reduce expenses. Think about it. Nicky, u took this from Robert Kiyosaki? haha.. Partially. I learnt about this term from Rich Dad Poor Dad by Robert Kiyosaki, but the suggestions given to the problem are quite general I think.